There is something truly seductive about any manifestation of the supernatural. Every human being experiences doubts once in a while. It is not so much a question of unbelief as it is a difficulty in maintaining belief in the midst of a world that seems designed to stamp out belief. And so any manifestation of the supernatural has a great deal of appeal. I think one of the reasons people become involved in the occult is because it seems better to see the devil than to see nothing at all. I suppose this accounts for the little thrill that goes through an audience when a speaker breaks out in tongues—it seems like a divine miracle, right before our eyes, or at least a little manifestation of the spirit world. Speaking in tongues is thought to be a spiritual gift, and some believe it is the only true sign of conversion. If you have not spoken in tongues, you haven’t been baptized with the holy spirit. Paul does not seem to have seen it that way. 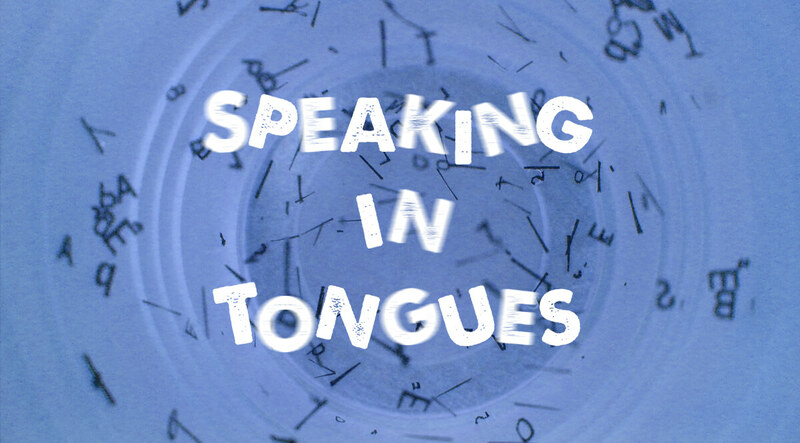 Speaking in tongues had taken root in the Corinthian church, but something was wrong with it. Follow after charity, and desire spiritual gifts, but rather that ye may prophesy. For he that speaketh in an unknown tongue speaketh not unto men, but unto God: for no man understandeth him; howbeit in the spirit he speaketh mysteries. One thing is clear. The manifestation of Tongues in Corinth was a very different thing from what happened in the beginning. To begin, let me remind you of the beginning of speaking in tongues.